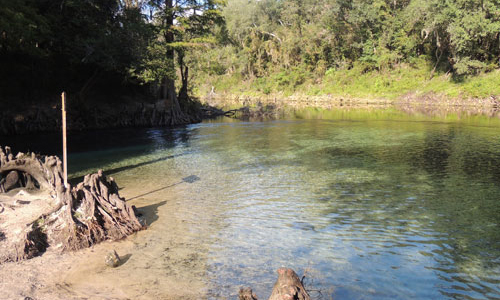 Madison Blue Spring is a beautiful, first-magnitude spring on the west bank of the Withlacoochee River in Madison County. 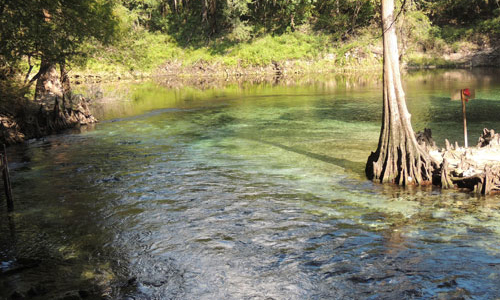 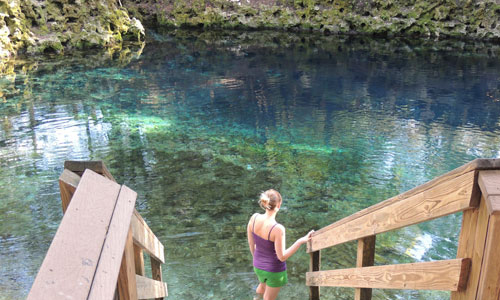 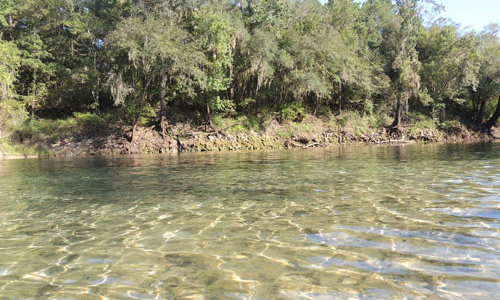 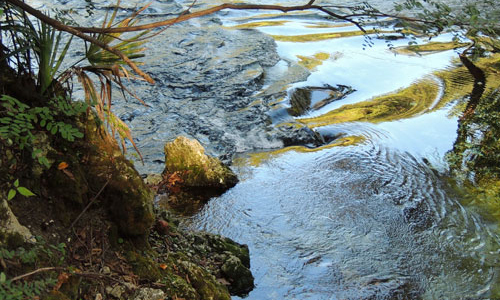 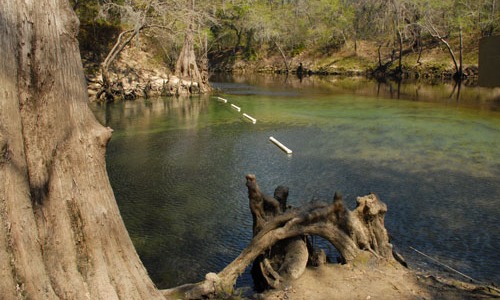 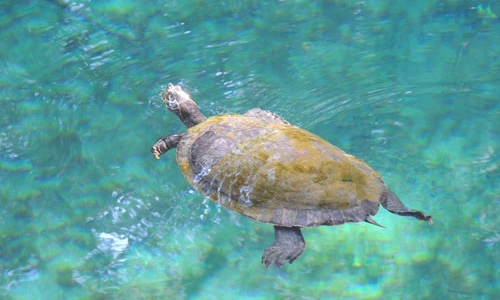 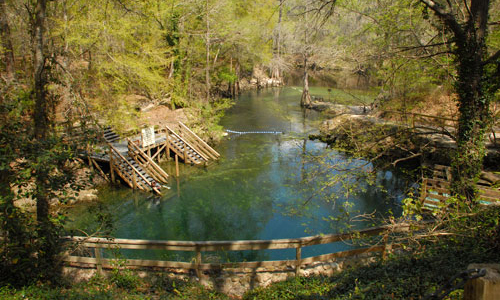 The spring pool, a limestone basin about 82 feet wide and 25 feet deep, is a popular swimming hole. 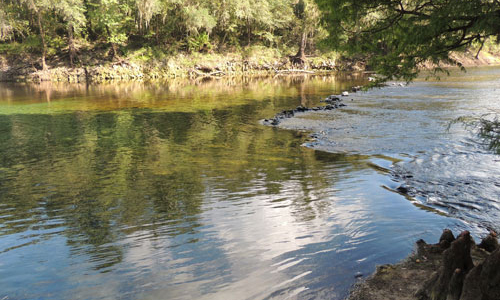 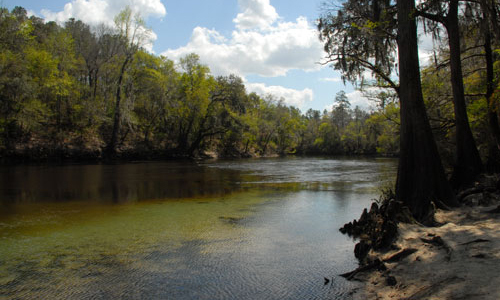 Its strong flow in the opposite direction of the river pushes against the tanic water of the Withlacoochee, creating a clear sweep of river bottom for some distance.